OPENING HOURS: We are open for services as follows: Monday - Saturday: 08:30 - 17:00 hrs (excluding Sundays & public holidays). Switch off your cell phones: For the courtesy of other patients as well as for maintaining silence in order to allow others and yourself to receive treatments in conditions of complete silence and relaxation, we kindly request you to switch off all your cell phones during your visit to our facility. Identification of patient: You are kindly requested to bring along your ID card/Passport/Driving License with you to complete the necessary formalities. 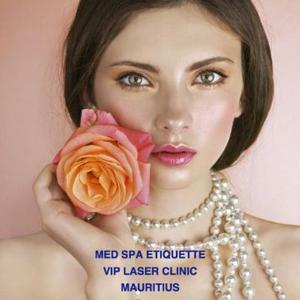 Punctuality of visit: We ask all our medical spa patients to arrive 15 minutes prior to their scheduled consultation/treatment time in order to fill in the required consent forms for our various services. Please kindly consider that arriving late can decrease the time duration of your treatment as your treatment will end at its scheduled time so that the next patient who is on time will not be penalized. Accompanying persons: Please do not bring children under the age of 16 years to our facility unless they are scheduled for service in order to avoid noise and inconvenience to our services. Minors receiving service: Minors under the age of 18 years will need signed parental consent in order to receive a service. Our policies are meant to ensure that every patient has a rewarding experience. Scheduling your next appointment: To ensure your desired appointment time, we recommend that you schedule your next service before leaving the medical spa. Cancelling or rescheduling your appointment: If you need to cancel or reschedule your appointment, we ask you to notify us 24 hours in advance so that we may accommodate another patient from our waiting list. Need of an individualized consultation: Every patient's needs and health/beauty conditions vary. That's why it is not possible to give you the exact price of any treatment on the phone as modes of treatment vary from patient to patient as per one's needs. Therefore, it is recommended to have an individualized consultation with our medical laser expert so that you may receive proper advice in regard to the types, modes and frequencies of treatments required in your specific case in order to give you optimal results. Best treatment for each patient: Each patient is treated with respect, dignity, understanding and utmost care. Patient education, highly effective treatment and medical and safety standards: Patient education received during the consultation regarding your health/beauty problems combined with our proven and highly effective treatment techniques whilst observing the highest medical and safety standards help deliver a predictable, expected and natural looking result to you. CONFIDENTIALITY: Please note that all information, including forms, photos and any other material constituting your dossier, collected and kept at this clinic is dealt with as “strictly private and confidential”. MODE OF PAYMENT: We accept CASH, CREDIT & DEBIT CARD payments. Cheques are not accepted.